The Braselton Monthly Farmers Market is held on the 3rd Friday of the month, weather permitting, in January-May and September-November. 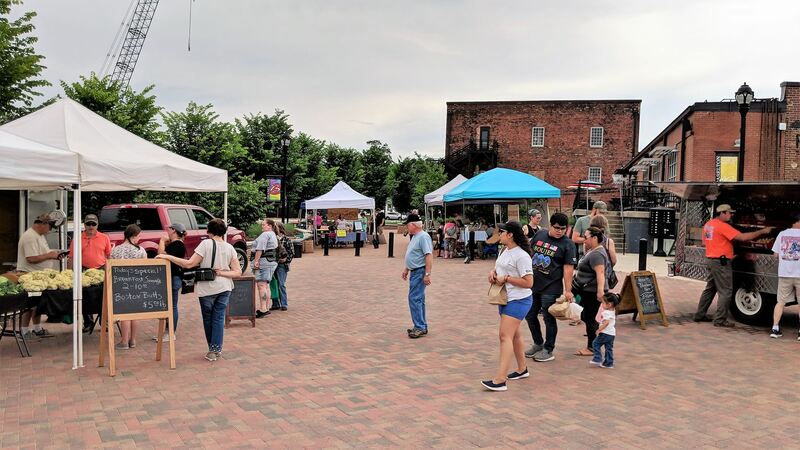 Local farmers, growers, bakers and makers set up their tents on the patio of the historic Braselton Bros. Department Store building on Davis St. at Hwy 53 in Downtown Braselton. Parking is free in the new parking deck right across the street.